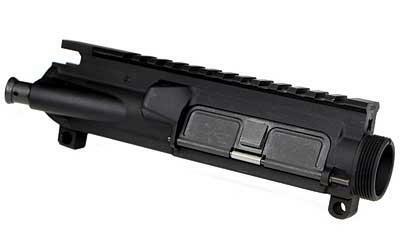 The Bravo Company AR-15/M4 Upper Receiver Assembly is precision machined M4 upper built to the correct Mil-Specs from 7075 T6 Forgings and Hard Coat Anodized per Mil-A-8625F, Type III, Class2. The inside diameter for the barrel extension is slightly undersized for a tighter fit to the barrel which results in a more accurate rifle. The upper is fully assembled with forward assist, and ejection port cover installed. The Mil-Std 1913 Rail on the top has laser etched T-markings for addressing the remounting of optics. Machined for use with barrels that use an M4 barrel extension. Made in the U.S.A. This product will not include the BCM logo etched on the receiver It is marked "BCM4" over the gas tube hole.